You should take a look at her collection of cuties for the hair as well. Artist Fun Fact: Jamie also makes and sells paper goods. See here. Christine, the designer at Studio X-Tine, has made this fun and flirty denim skirt. 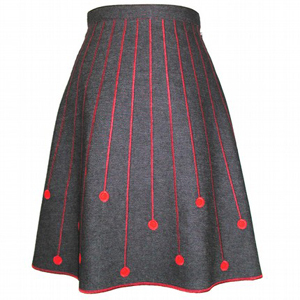 It's decorated with 24 machine stitched red stripes, which radiate from the waist towards the hem and end at varying lengths with appliquéd red felt dots. Artist Fun Fact: By day Christine works on the production staff of a prominent studio as a costume and puppet maker. If you are new on the scene, send an email to nolestyleandbeauty@gmail.com with a link to your Etsy shop/website. We're looking for designers and artisans who have been contributors to the Indie Community for 3 years or less. 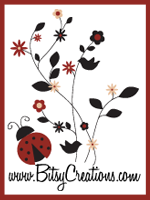 Update: Since I have received such a great response, I am going to add a separate page on the blog where I can list NEW indie designers and artisans. Please check back to find out who you should be watching!! 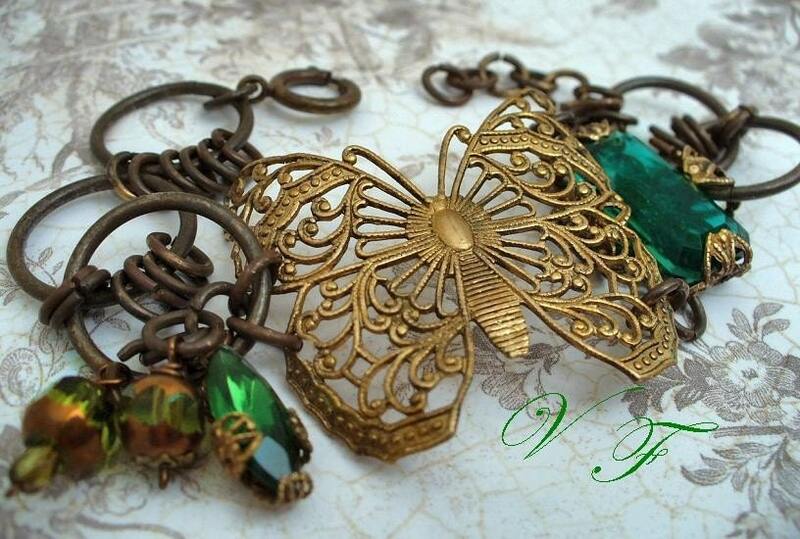 Shop Name: VintageFiligree Click here to go shopping to find Items You Love! Pili is a lariat style necklace (with 14k gold-filled chain) made by Nicola Nakase. This beautiful piece is 18 inches long with a 14 inch drop. The white mother of pearl coins with filigree detail and pink freshwater pearls make this eye-catching necklace a perfect addition to your casual or formal dress. Imagine the looks you'll get wearing something like this! Prepare to be envied, my dear! Be sure to take a look at Nicola's Signature Collection here. You will definitely find something to fall in love with there. FYI: Wahine, meaning 'Hawaiian girl,' serves as a source of inspiration for the designs. Diana Kane grew up in Northern California and began designing jewelry in New York in 1993. Her designs are simple, yet beautiful. Can you say SIMPLY BEAUTIFUL? 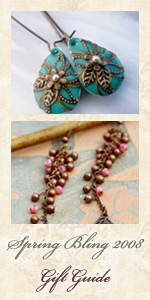 Her jewelry can easily be worn with jeans, business attire, or even that little black dress you love so much! Diana's handmade pieces have been featured in the pages of Women's Wear Daily, InStyle and W Magazine. They can also be found in boutiques and galleries across the country. In 2002, her eponymous boutique was opened on Fifth Avenue in Park Slope, a neighborhood in the western section of Brooklyn. There, you can find clothing, lingerie, fragrances, swimsuits, handbags, shoes and exclusive handmade jewelry. Click here to visit Diana on the web. This ultra cute and fun bracelet was made by Heather Powers. 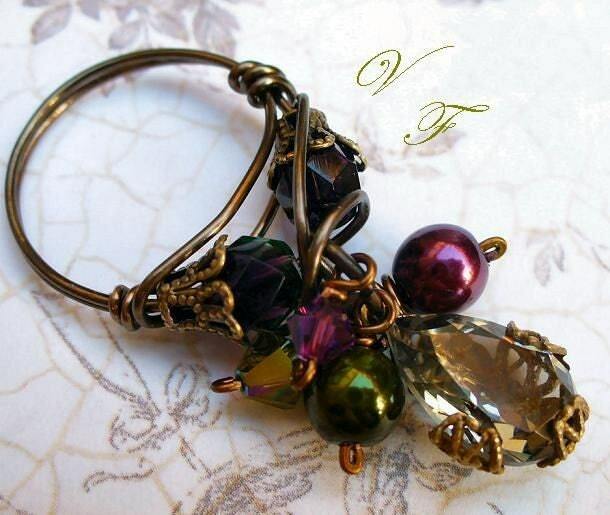 The pinks & greens in this playful piece go well together....Don't you just love the beads? They are beautiful and of course handmade by none other than Heather. The polymer clay beads are accompanied by ukanite and swarovski crystals creating a charm bracelet that can be worn easily by women of all ages. Beauty - Elegance - Individuality... Click here to experience Nova Lorraine. I am back from a much-needed break and I will have some new updates for you all on July 25th! I'm refreshed and ready to go. 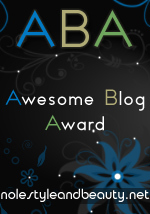 I look forward to bringing you all some more awesome indie finds from some very awesome designers and artisans.